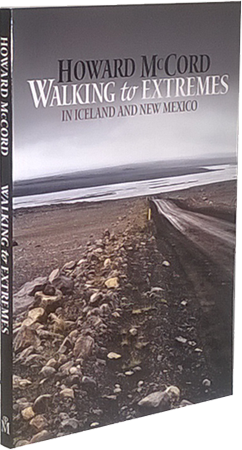 Howard McCord was born in El Paso, Texas, in 1932. He is the author of more than twenty-five volumes of poetry, short fiction, and essays, including The Great Toad Hunt and Other Expeditions (Crossing Press), The Wisdom of Silenus: Collected Essays (St. Andrews College Press), The Old Beast (Copper Canyon), and, with Walter Lowenfels, The Life of Fraenkel's Death (Washington State U. Press). From 1971 to 2000 he taught at Bowling Green State University, Ohio, first as director of the Creative Writing Program, later as director of the Ph.D.--Creative Emphasis degree program. Along with Allen Ginsberg and Lawrence Ferlinghetti, he introduced the Indian poets of the Hungry generation to Western readers. Among his many honors are two NEA fellowships, the 1990 Ohioana Award for poetry, the Golden Nugget Award (UT at El Paso), the Hart Crane Award, a National Woodrow Wilson Fellowship, a Fulbright fellowship, and in 1996 he won the Loveless Award for the best article in Gun Digest. 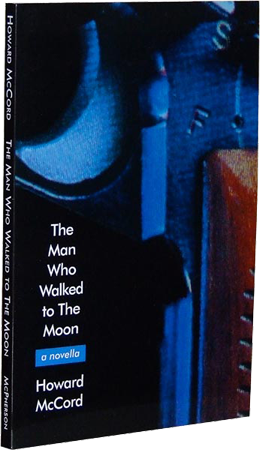 The Man Who Walked to The Moon is his first novel.